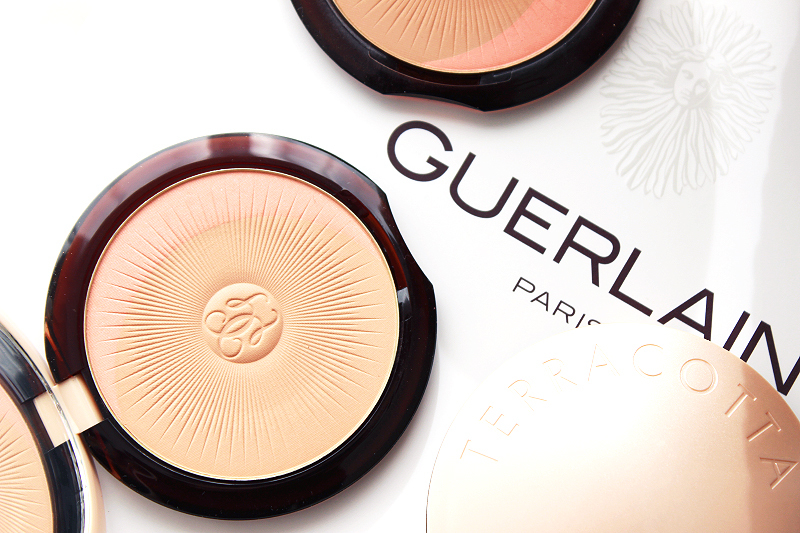 Ahh, Guerlain. One of my very favourite makeup brands. It started out with my undying love for their Perles Météorites, a staple product I’ve been using every day for the last four years and continues with their beautiful face powders, bronzers and blushes. 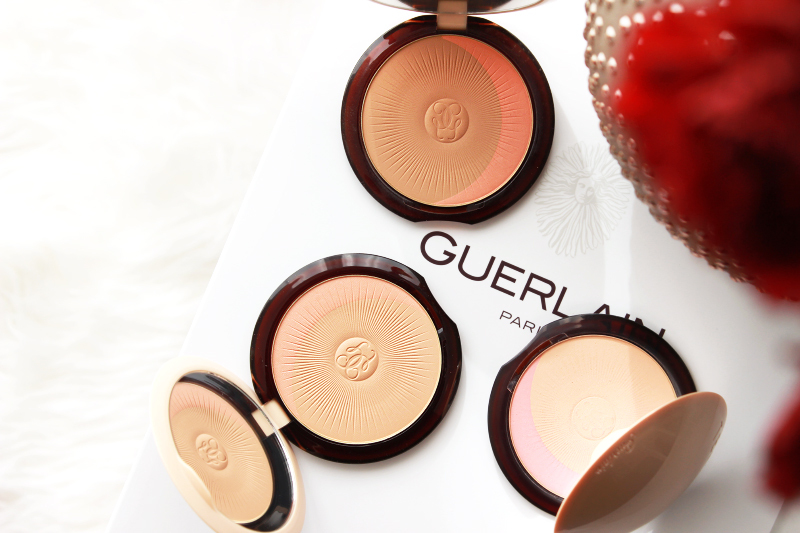 This brand has a way of creating luminous powders that’ll soften your look and make you glow. Their early Summer release this year is the new Terracotta Joli Teint Powder Duo, a powder that’ll make you glow using a harmony of two shades. I wouldn't dub this your usual Summer bronzer: think of it as healthy warm glow in a compact. There are just four shades available: two for blondes and two for brunettes. I can perfectly wear both intensities - although I do need to apply the darkest one with moderation and precision - so this might not work as a bronzer for tanned and darker skin tones. There are two shades in each compact, a warm toned light bronzing shade and a coloured shade that is pink in the blonde compacts and apricot in the brunette compacts. However the coloured shade is just a small band - it's quite difficult to use them separately and it's not meant for it either. Because of the light intensity of these powders I think mostly fair skinned girls will be really happy with these. Bronzers can easily be way too intense for me (for reference: I have NC15 skin) and I know from experience that some bronzers are just unwearable for me even in the lightest available shade. There's no better way to describe the effect than with a before & after picture. In the first picture I'm only wearing foundation and concealer - I have uneven skin so I like to opt for a full coverage foundation. This makes my face very flat and quite unnatural. (Little side note: funny how I actually used to wear only foundation pretty much throughout my final years in high school. It must've looked so ghostly! I only discovered blush in college.) 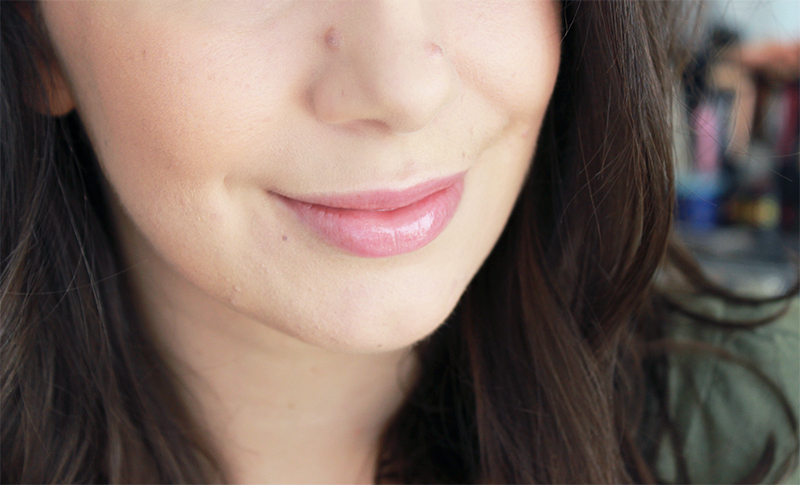 Adding a healthy glow is a necessity - I like to go in with contour/bronzer, blush and highlight every day. 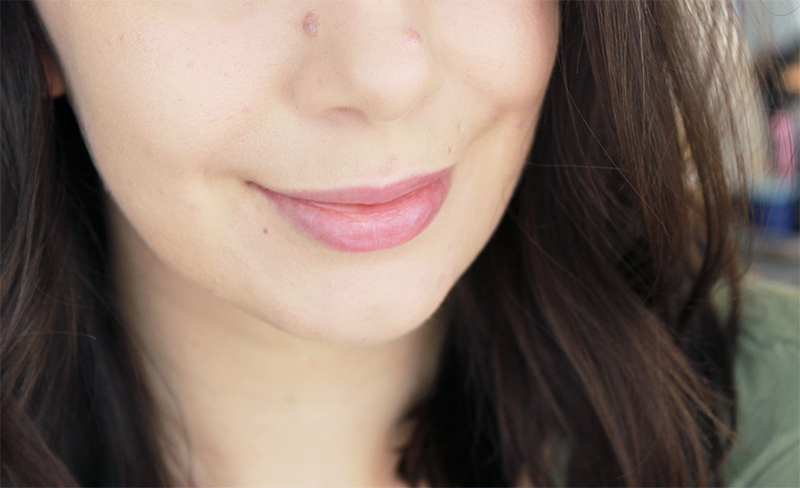 In the second picture here I'm wearing the Joli Teint Powder Duo in 01 Clair/Light Brunettes - nothing more. I also really like wearing 00 Clair/Light Blondes which is a tad lighter and cooler, it's very pretty combined with a pink blush. The texture of these powders is beautiful, it's a very fine powder and blends beautifully. It wears nearly perfectly all day on me without turning patchy. It's also well worth noting that true to Guerlain's habits this powder has a light floral scent to it. The two light shades are definitely the best match for me - I can wear 03 Natural Brunettes but it's very warm and requires a very light hand. I'm not a big fan of powders that you can only dip in ever so lightly; someone with a more tan skin will definitely like that one better. I would suggest playing around with the available shades at a Guerlain counter: it's not because you're quite pale with blonde hair that the lightest shade would be your favourite one per se. Depending on your personal preferences and skin tone you can use these as a bronzer or a warming face powder to accentuate your features.